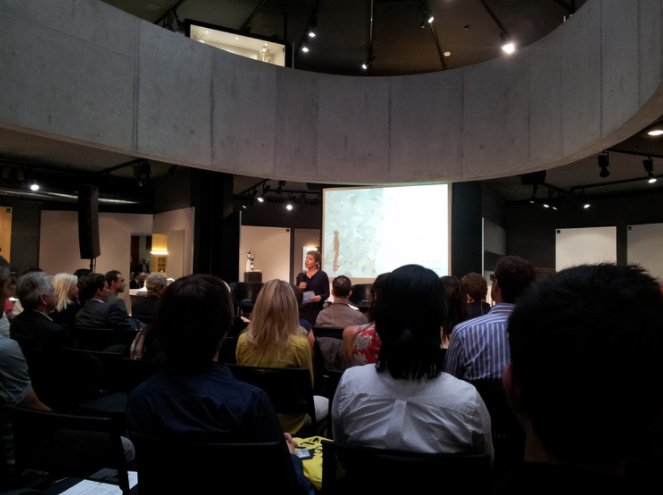 AIA Europe, in collaboration with Swiss Ceramics manufacturer Laufen, organized the first Architecture During Art Symposium in the Laufen Forum in June 2013. Since then, The Laufen Architecture During Art Symposium has become an anticipated yearly event of thought-provoking conversations that coincides with Art Basel / Design Miami. 2013-14 AIA Europe Switzerland Section Director Tiffany Melançon conceived and organized the first symposium titled 'The Architect That Makes Everything' to bring a critical discussion of contemporary architecture to the context of Art Basel and Design/Miami Basel. 'The Architect That Makes Everything' compared today's architect to the 'Total Design' architect of the past, and explored the rising role of the architect as the collaborative player, working simultaneously across the fields of art, architecture, and design. As a professional organization, AIA Europe also invited the speakers to consider the implications for the future of the profession. Presentations by Simon Frommenweiler of HHF Architects (Basel), Marc Fornes of Theverymany(NYC) and Daniel Arsham and Alex Mustonen of Snarkitecture (NYC), followed by a panel discussion moderated by Frame and Mark Magazines editor, Robert Thiemann, addressed the symposium theme – Click here to read the full event review published in Frame Magazine.